This is a rectangular Bear Springs Distributors porcelain sign. This particular Bear Springs Distributors sign is predominantly black and white with red text. 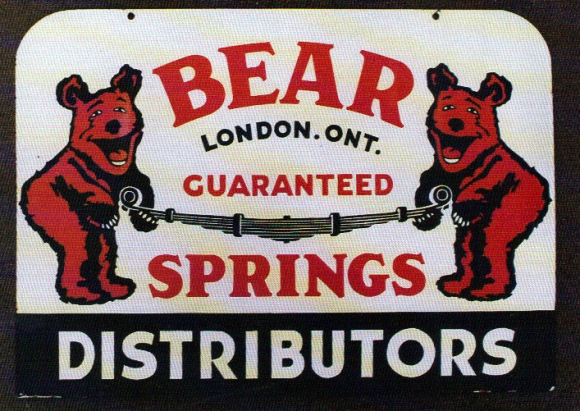 It reads, “Bear Springs Distributors, London. Ont. Guaranteed” and features two red bears holding a spring.